We're glad that you're checking us out. The first thing you need to know is that God loves you and we do too. Take your time and explore our webpage. Our Pastor would love to meet with you, pray for you, or just visit. Go to "About Us" and "Pastor" for his contact information and short biography. 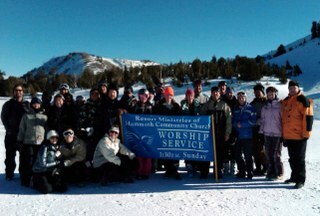 If you're a skier or snowboarder, join our "ski up service" Sunday afternoons at 1:30 on Mammoth Mountain. Ski up to the blue worship sign between McCoy Station and Chair Three. We have a great time singing together and sharing a short devotional. 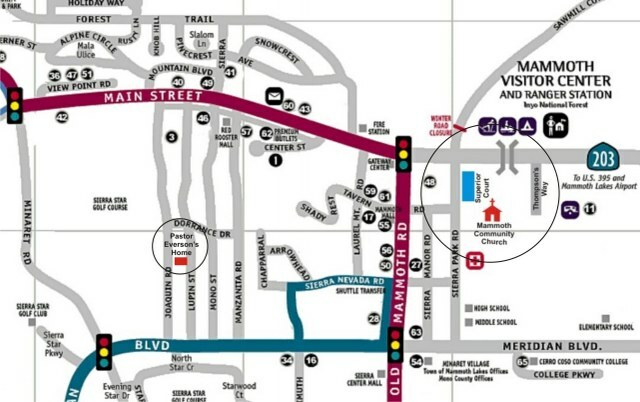 The Spanish services of Mammoth Community Church are: Sunday Worship at 6:00 p.m., and Bible Study, Wednesday at 7:00 p.m.